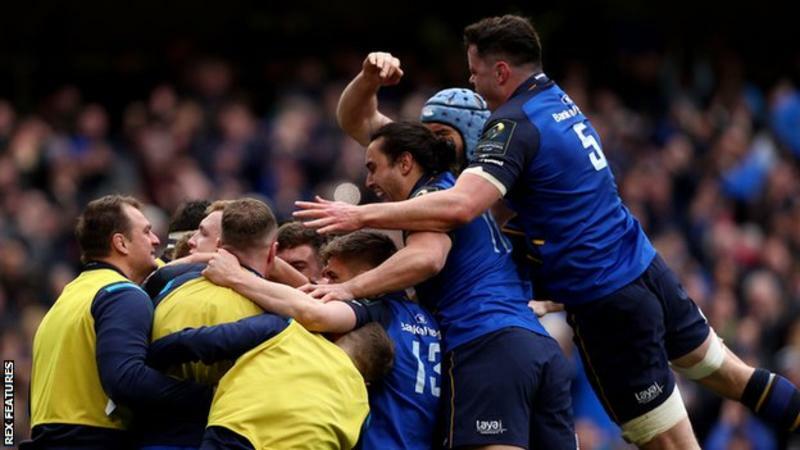 Leinster knocked out Champions Cup holders Saracens in Dublin to set up a home semi-final against Scarlets. Garry Ringrose crossed early on, before Johnny Sexton and Owen Farrell traded penalties as back-to-back winners Saracens trailed 13-12 at the break. Leinster looked to have run away with it through tries from Dan Leavy and James Lowe before Blair Cowan replied.